New York’s current law prohibits assisting in suicide by anyone, including doctors who prescribe lethal doses of drugs to end the lives of terminally ill patients who wish to die. This law was challenged in 1994 and upheld as constitutional by the U.S. Supreme Court in Vacco vs. Quill in 1997. Two pieces of legislation have been introduced in the New York Legislature to legalize physician-assisted suicide, and they are equally dangerous. In addition, a new lawsuit has been filed by an assisted suicide advocacy organization to overturn New York’s ban. The 2014 assisted suicide death of 29-year-old Brittany Maynard, who moved to Oregon to secure a physician’s help to commit suicide, has renewed efforts across the country to legalize this practice. 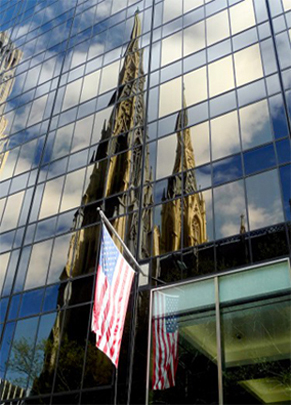 The Catholic Conference seeks to maintain New York State’s current prohibition on assisted suicide while ensuring increased support, resources, palliative and hospice care, appropriate pain relief and treatment for the terminally ill. In 2004, the New York Court of Appeals struck down New York’s death penalty statute, holding it unconstitutional under the New York State Constitution. In October 2007 the Court affirmed that ruling, and the last remaining death sentence in the state was vacated. As a result, New York State may not impose the death penalty at the current time. However, a more long-term solution continues to be needed to ensure that the death penalty is repealed from the statutes of New York State. In December 2007, New Jersey became the first state in the nation to legislatively abolish capital punishment. New York State should follow that lead.